Book your bus tour Ireland here and have the best holiday possible! 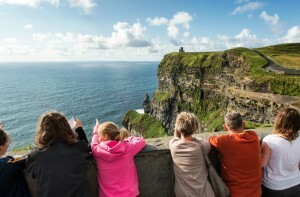 Check out how you and your family and friends can travel to Ireland! If you’re looking for another way to travel to Ireland, contact us here free of charge. We’d be more than happy to help you organise your dream 2017 holiday! As Ireland’s leading Inbound Tour Operator, since 1971, our team of experienced Irish travel experts and vacation advisors have but one goal – to create that lifelong dream Irish vacation that you will remember forever. All you have to do is take the first step and contact us today!